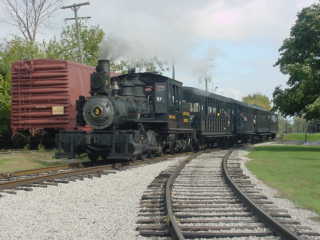 and a ride on the Weiser Railroad. 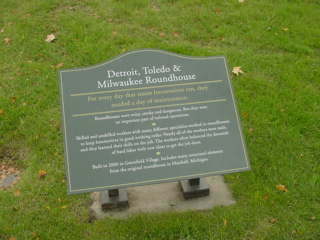 We met in the lobby of the Baymount Inn and went to Bob Evans for breakfast. 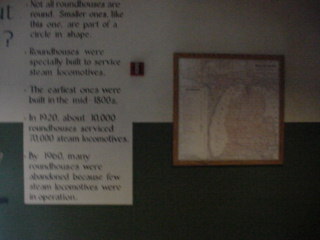 Elizabeth drove us down to Dearborn and I gave her directions on how to get to the Henry Ford Museum. 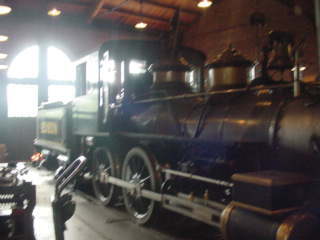 We parked the Kia in the parking lot and walked into the Greenfield Village. 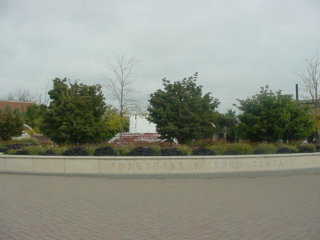 Flower display as you enter the grounds. 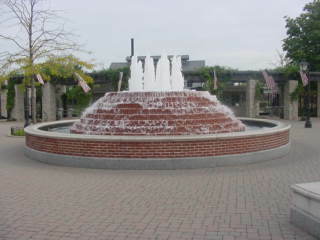 We waited by the fountain for Carrie Nolan, Manager, Media and Film Relations, to arrive which she did shortly and she took us to the Roundhouse. 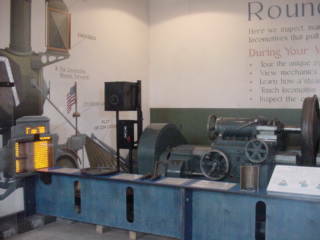 We walked by this water wheel. 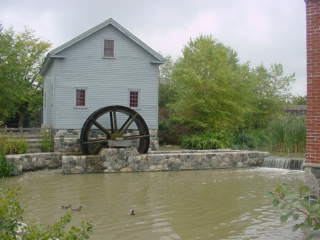 Water wheels have always amazed me. 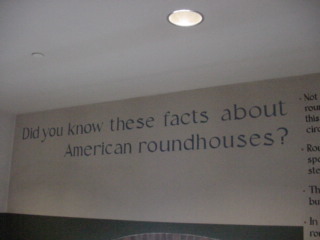 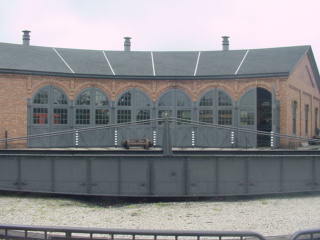 The Roundhouse at Greenfield Village. 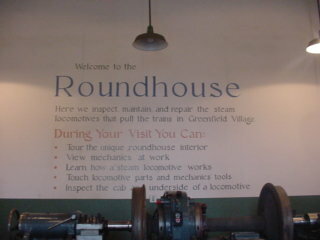 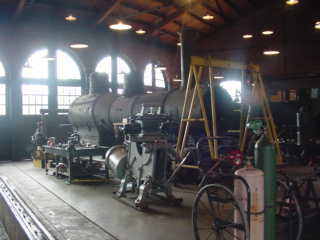 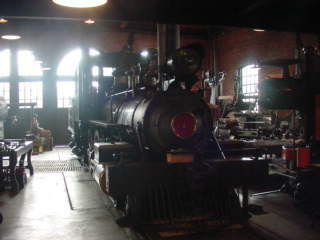 We were taken inside and met Mathew Goodman, steam mechanic and hostler, who would give us a tour of the roundhouse. 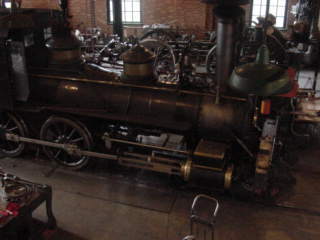 1897 Baldwin 4-4-0 which was Henry Ford's Personnel Locomotive when he owned the DT&I Railroad. 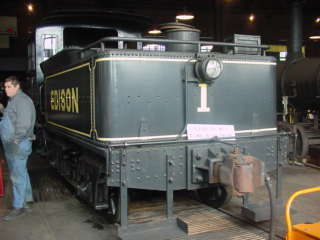 Edison 4-4-0 1 built in 1932 by Henry Ford. 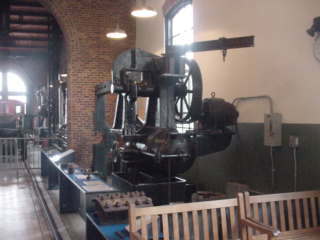 He got the engine from Thomas Edison. 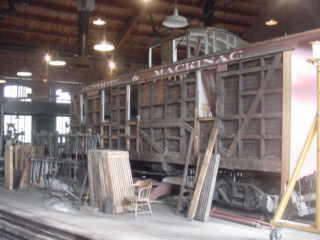 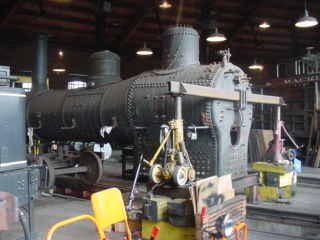 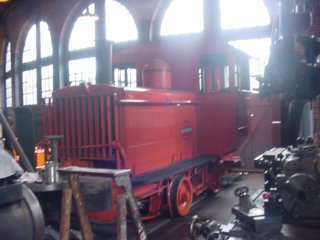 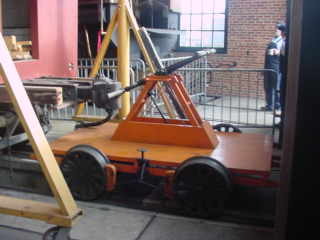 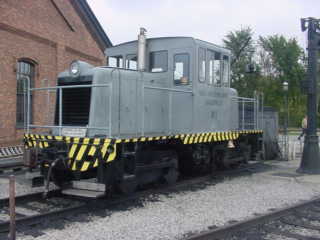 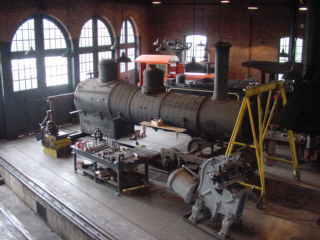 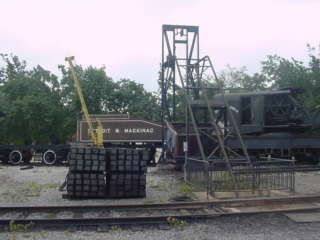 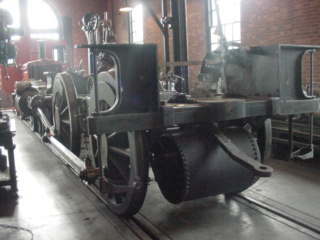 Another view of the 1897 Baldwin 4-4-0 under restoration. 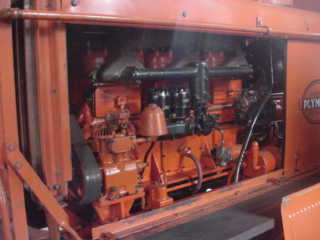 1927 Plymouth Gasoline Engine is used for switching cars and cold locomotives. 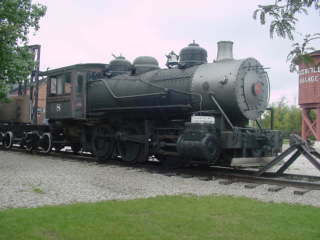 Here is Bob Goodman who was on the train to Cadillac with us yesterday. 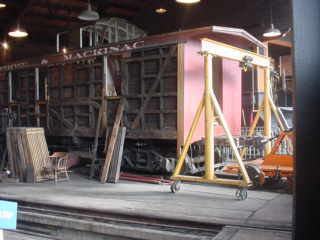 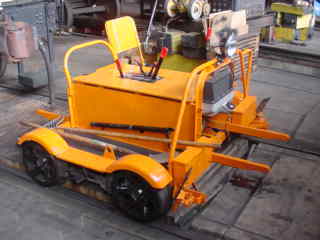 This 1947 speeder just restored three months ago is used for track inspection after storms. 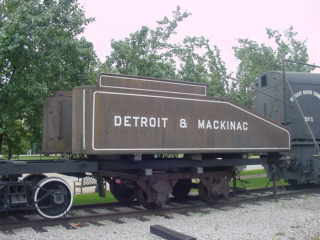 Detroit Mackinaw Caboose built in 1912. 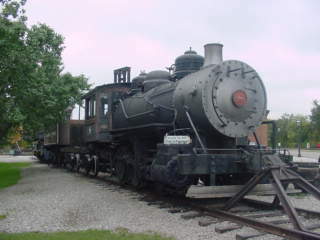 Michigan Central Atlantic 4-4-2 8085. 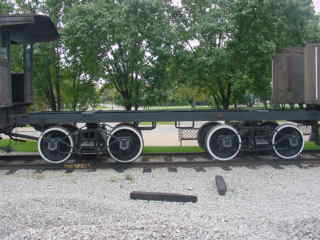 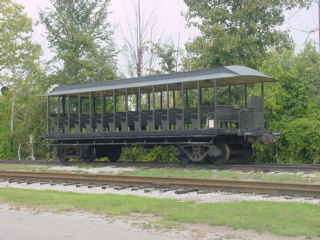 One more view of the 1897 Baldwin 4-4-0. 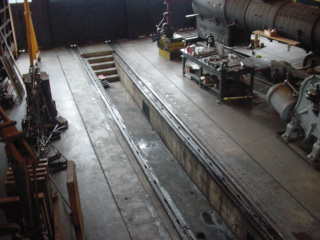 The inspection pit where every night the running locomotive gets checked which takes 1.5 hours to complete. 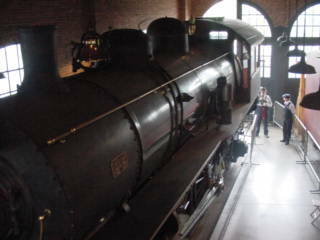 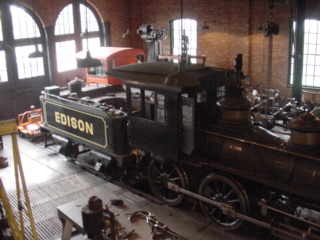 Looking down on the Edison Locomotive. 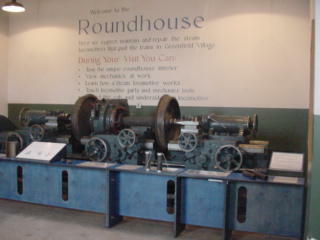 Three views looking down into the roundhouse. 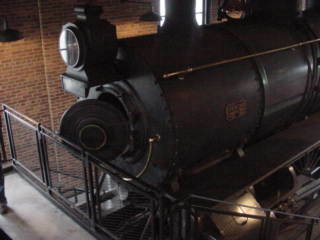 How a steam engine works. 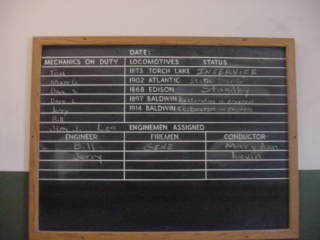 The Board for running the railroad. 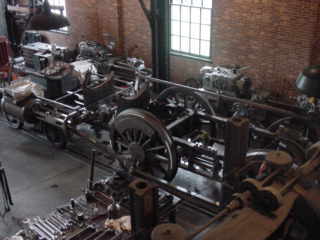 Bridgeford Axle Lathe. 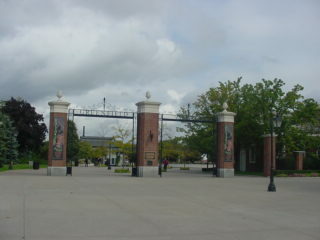 From here we went outside. 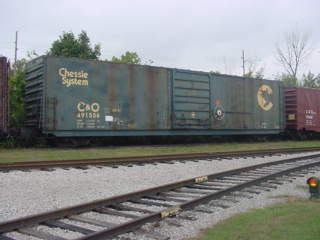 Naval Ammunition Depot 1 Charleston, SC. 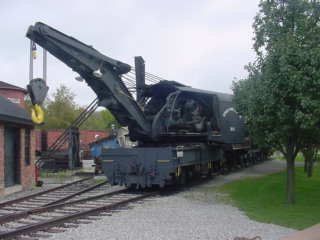 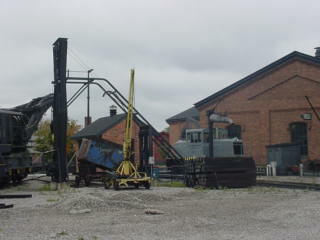 Detroit River Tunnel Co 1 120 Ton Crane which was never used in that operation. 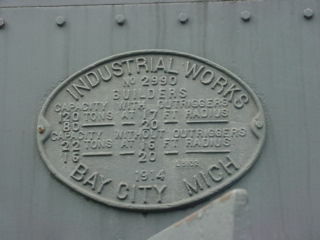 Detroit River Tunnel Co 1 Builders Plate. 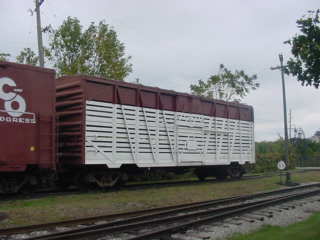 Tender of the Alkali Company 8. 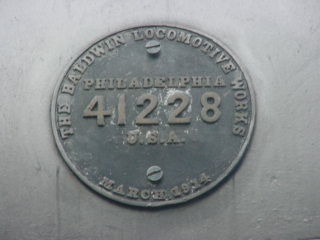 Builder plate of the 8. 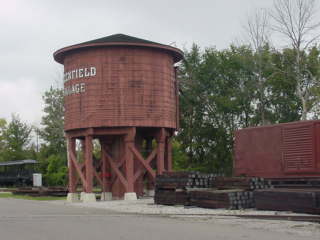 The water tower holds 3,900 gallons of water. 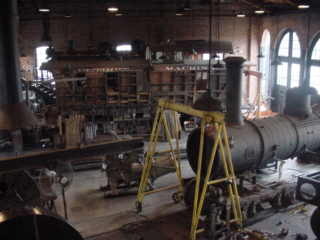 Another view looking back towards the roundhouse. 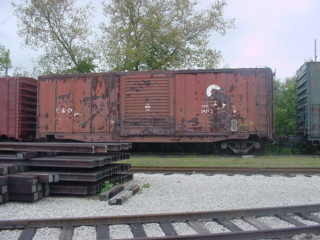 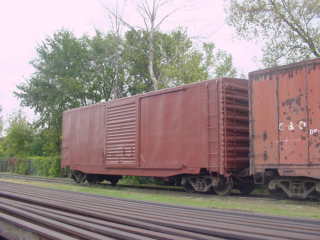 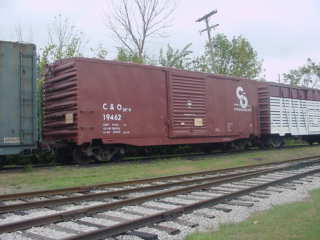 All of these freight cars are ex C&O Railroad cars. 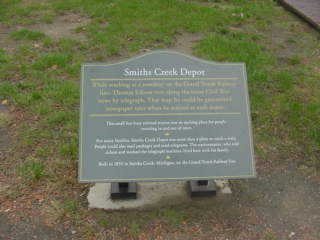 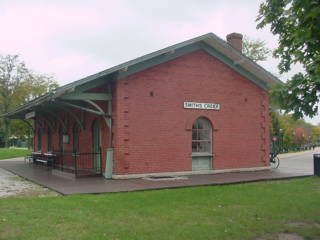 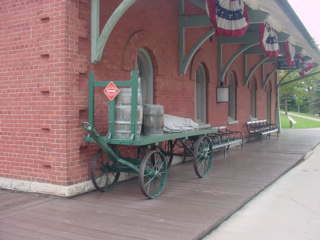 The Smith Creek Depot. 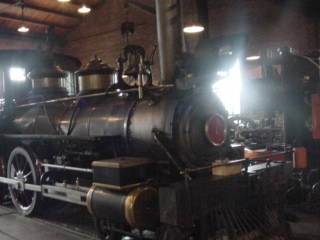 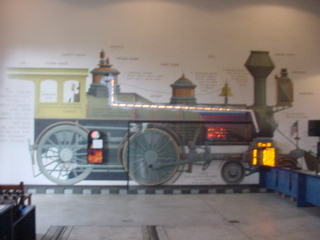 It was now time to head back up front to ride the train. 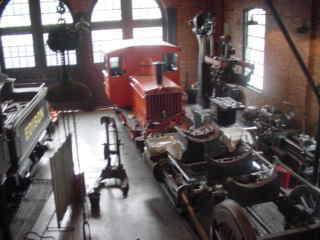 We thanked both Bob and Carrie for having us for this visit today.